BMW vehicles are known for their high performance and classy appearance. When purchasing a BMW, you expect that the car will possess a smooth drive. However, despite the weighty expectations, some BMW vehicles are prone to certain malfunctions, especially if it is a manual. One of those potential issues is clutch failure. The reason the clutch is so important is that it guides the way you shift between gears. Without it, you’re going to be stuck in first gear, and not getting anywhere fast. Not to mention, clutch failure could potentially lead to transmission failure; nobody likes to hear those words, as they can be a very expensive repair. If you are experiencing clutch issues, consider these tips on how you can alleviate the situation before it compounds into something worse. The clutch is an important part of any manual vehicle. It is almost like the liaison between gears. It works as a stepping stone between changing and makes your drive desirable. With each change in gear, the clutch will either engage or disengage. This change is swift and requires a lot of back and forth strength from your clutch. When used correctly, this makes for a smooth transition between gears. Should a driver simply switch between gears without engaging the clutch, the transmission will suffer greatly. This could eventually result in a blown or completely frazzled transmission due to the heat taking place under the hood. What Causes a Bad Clutch? The clutch can slip at any point of your BMW’s life. Although quite common, it still requires immediate attention. Whether it’s general wear and tear or installation complications, the root cause of this problem varies. One primary reason is a combination of incorrect cup dimensions and inadequate step of the flywheel. This misalignment causes wear and tear that can directly impact how well your clutch functions. “Riding” the clutch, (stepping excessively on it) can result in premature wear. Much like riding the brakes, this makes for an uncomfortable and rather bumpy ride. Not to mention, it affects the health of your transmission. In addition, cars that haul trailers or other heavy units can strain the clutch. This requires the clutch and gears to engage too much power which results in eventual burnout. Finally, if oil and other debris contaminates your clutch, this could cause a great deal of damage. Oil contamination could even cause the clutch to begin slipping. This makes for a dangerous gear shift as the driver may not properly choose the right gear. One of the primary symptoms to look for to diagnose clutch failure is decreased gas mileage. If your car seems to blow through gas faster than you expect after a full-up, you may have a clutch issue. In addition, your clutch should be easy to access. Meaning, stepping on it shouldn’t be a challenge. If it is quite difficult adjusting or even pressing down on it, you may be experiencing a clutch malfunction. 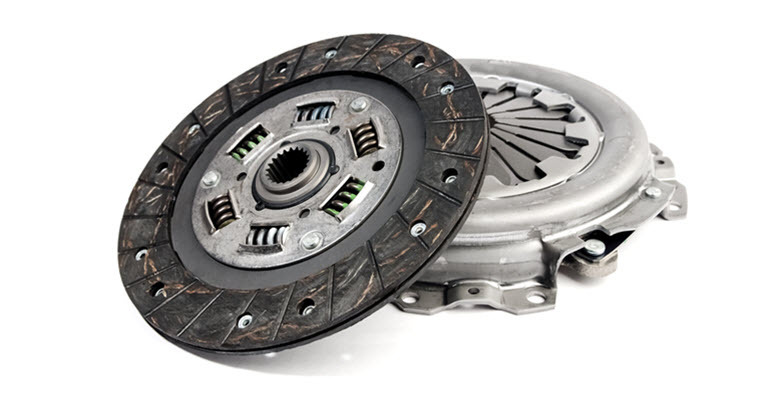 Take the clutch off of the flywheel and replace your old clutch with a new one. 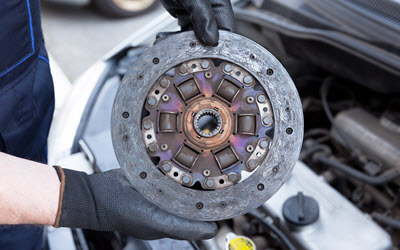 If your clutch has suffered contamination, likely your flywheel has too. This may require replacement. For an effective fix, also replace the bearing. Check the pilot and decide if this needs to be replaced as well. Although repairing your own vehicle may seem like a fun challenge, it may cause more harm that good. When poking around with parts directly linked to your transmission, you need to be extremely careful. Because of the risk of possible irreversible damage, why not let the experts handle your clutch related issues? Our skilled mechanics at German Motors and Imports have been serving the people of San Diego, La Jolla, Pacific Beach, Clairemont, CA with their BMW needs for years. We take special note of how your BMW operates and will give you the best quote and service possible. Schedule your appointment today to get the care your BMW needs.